Based on npm outdated, updtr installs the latest version and runs npm test for each dependency. In case the test succeeds, updtr saves the new version number to your package.json. 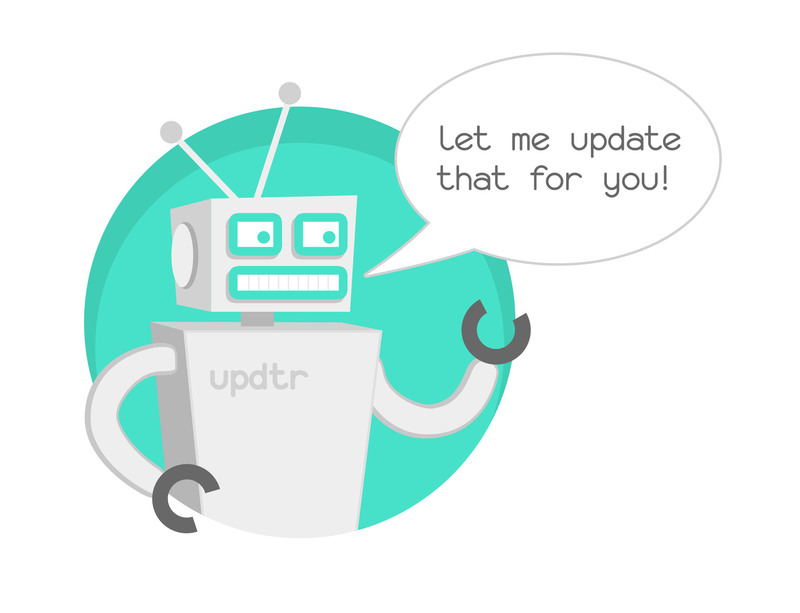 Otherwise, updtr rolls back the conflicting update. Additionally, it will use yarn instead of npm when a yarn.lock file is present in your project. Updtr tries to guess the package manager by looking for a yarn.lock file. If there is one in process.cwd(), it will use yarn. Setting this option overrides that default. Space separated list of module names that should not be updated. smart (default): tries to preserve the current style. Falls back to caret if the style cannot be preserved. updtr -t "mocha -R spec"
Show test stdout if the update fails. Specify a custom registry to use. Please note: yarn does not support to set a custom registry via command line. Use a .npmrc file to achieve this. See also yarnpkg/yarn#606. Show the current updtr version. --test, -t            Specify a custom test command. Surround with quotes. Keep up with changes to updtr!